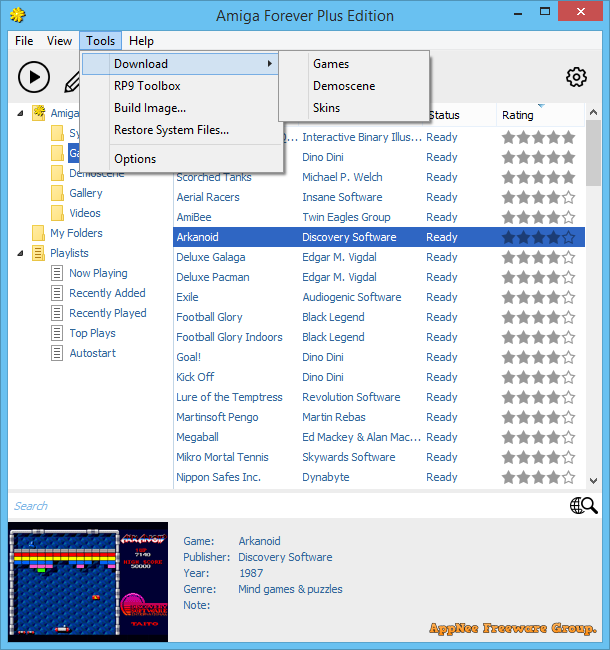 video game | AppNee Freeware Group. Amiga Forever is an Amiga computer and operating system emulator suite developed by Cloanto IT srl (developer of Commodore/Amiga software founded in 1986) from Italy and first released in 1997. It enables Amiga software to run on non-Amiga hardware platforms (Windows, Mac OS X and Linux) legally and without any complex configuration. 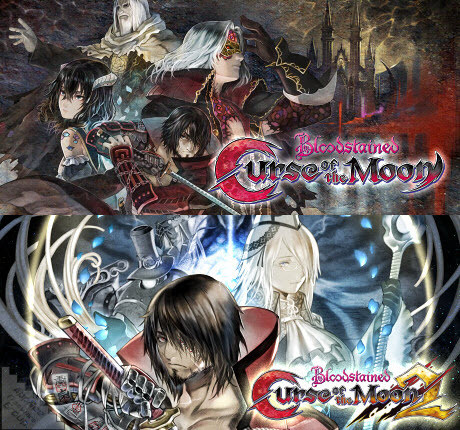 Bloodstained: Curse of the Moon is a 8-bit, 2D action adventure small video game with retro style, developed by Koji Igarashi & Inti Creates video game development company from Japan and published in 2018, regarded as an unofficial successor of the original Castlevania. It makes a lot of references from the official Castlevania works (primarily the Castlevania III: Dracula’s Curse) released on the Nintendo NES game console. The M.A.M.E. (Multiple Arcade Machine Emulator) written by Nicola Salmoria and MAME team enables us to play thousands of classic arcade games on our computer. 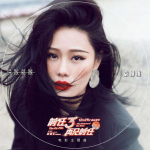 In this way, we can relive the joy and happy memories brought by the classic video games on arcade game console in the past. 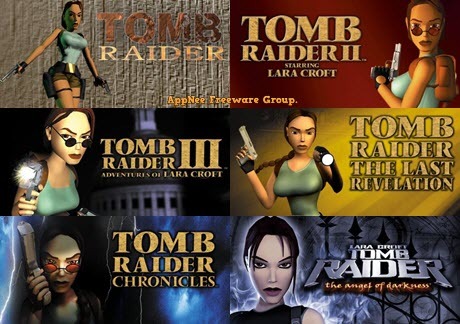 In the past, to play a game for some platform on a computer, you have to find a corresponding console emulator to run it, and the necessary settings of each emulator vary. Some are very simple, while others may be more complex. This can be troublesome even for video game lovers who are fond of doing things from side to side. Fortunately, the appearance of RetroArch makes it more convenient for playing the classic video games on various platforms (a wide range of computers and game consoles) – within the same, lick and friendly GUI, as well as unified settings (so all configuration will be done once and for all). Chrono Trigger released on SNES console in 1995 is one of few really amazing RPG works in the 16-bit video game era. This SNES game successfully changed the standard rules of RPG, so that made this type of game coruscate with new vitality. Chrono Cross released on PlayStation platform in 1999 is its sequel. Because Chrono Trigger has achieved unprecedented success (became one classic RPG work enjoying equal popularity with Final Fantasy series and Dragon Quest series), at first it was not favored by most gamers or game producers. But the reality is that it surprised the entire game world at that time. Here, AppNee only emphatically introduces Chrono Cross. 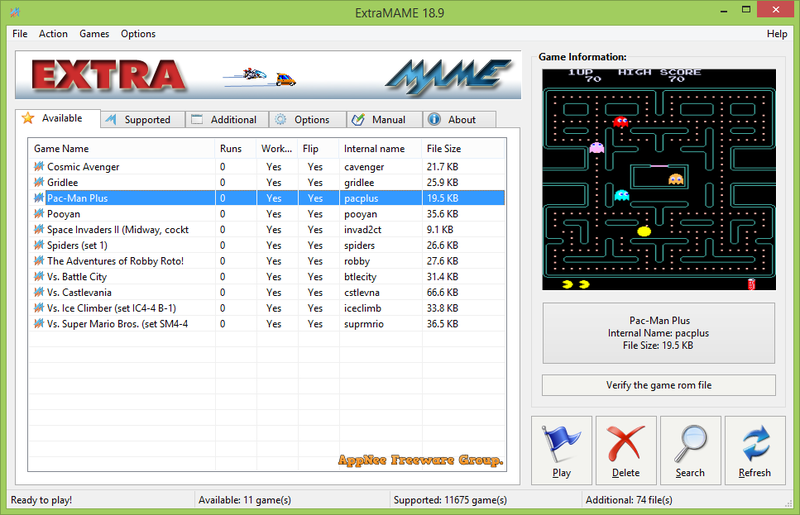 FB Alpha is a multi-arcade console emulator that takes up less system memory and requires lower machine configuration than MAME, and runs faster with better graphics. 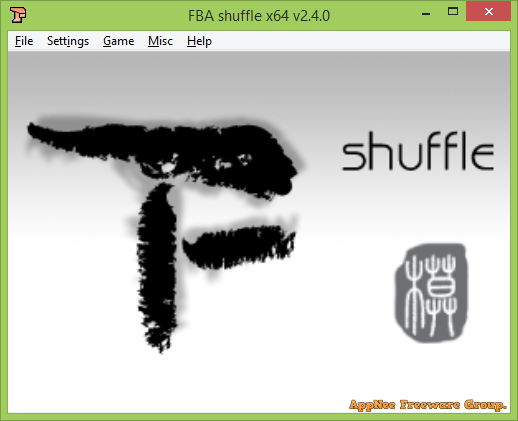 FB Alpha Shuffle (full name: Final Burn Alpha Shuffle, FBA Shuffle or FBAS for short) is an unofficial variant version of FB Alpha with many new/different features (that FB Alpha does not support), maintained by KOF2112, Leaf, and Creamymami from China.